AVM-associated ICH is more likely to occur in younger patients. Arteriovenous malformation-associated intracranial hemorrhage is tied to lower hospital death and higher likelihood of discharge to home compared with intracranial hemorrhage from other causes, according to a paper published in Neurology. Cerebral arteriovenous malformations (AVMs) are a relatively uncommon but important cause of intracerebral hemorrhage (ICH) because they are more often found in younger patients. With an annual bleeding risk of 0.9% to 4%, a ruptured AVM may lead to neurological disability or death. Still, there are few studies investigating the outcomes of patients with AVM and ICH. Santosh B. Murthy, MD, MPH, of Columbia College of Physicians and Surgeons in New York, New York, and colleagues sought to compare ICH outcomes in patients with AVM compared with other sources of bleeding. The investigators conducted a retrospective study using the Nationwide Inpatient Sample database to identify patients with ICH from 2002 to 2011 using diagnostic codes. The rate of home discharge and mortality in patients with ICH from an AVM were compared with a confirmatory cohort of patients with stroke. Among the 619,177 patients who were hospitalized for ICH during the time frame, 4485 patients were identified with a documented AVM (0.7%). These patients were more often younger (P <.001) and male (P <.001) compared with patients without a history of AVM. Further, this group was less likely to have stroke risk factors, including hyperlipidemia, diabetes mellitus, and hypertension. The patients with a history of AVM were more likely to have a history of seizure disorder or hydrocephalus with cerebrospinal fluid (CSF) shunting (P <.0001 for both). Patients with an ICH from an AVM had a lower rate of inpatient mortality than patients with ICH from other causes (12.9% vs 29.5%). Further, ICH from an AVM was associated with higher rates of discharge to home compared with patients without an AVM (46.9% vs 19.7%). The odds of death were lower in the AVM group after adjusting for demographics and comorbidities (odds ratio [OR] 0.5; 95% CI, 0.4-0.7). Likewise, compared with the non-AVM group, having an AVM-associated ICH was linked with higher odds of a favorable discharge (OR 2.0; 95% CI, 1.4-3.0). When compared with patients who were conservatively managed, treatment with endovascular embolization or surgical resection of the AVM was tied to lower inpatient mortality (OR 0.31) and higher odds of being discharged home (OR 1.2). Confirmatory analysis of 34 patients with AVM-associated ICH from a group of 342 patients with ICH also showed a higher odds of being ambulatory at discharge (OR 4.4; 95% CI, 1.4-13.1) and lower odds of inpatient mortality (OR 0.9; 95% CI, 0.2-7.8), although this was not significant. 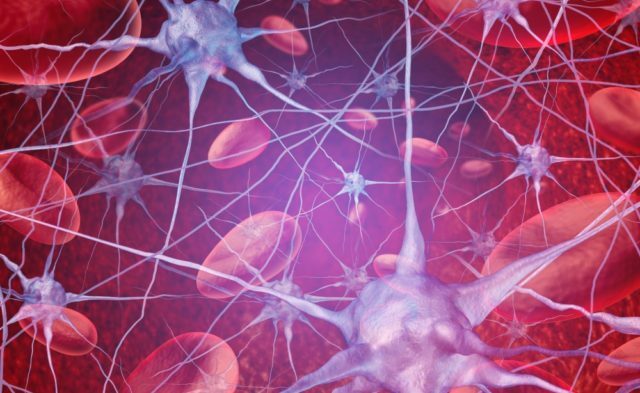 “In a nationally representative cohort, patients with ICH with AVM had lower inpatient mortality and were more likely to have a favorable discharge disposition compared to patients with ICH without AVM,” the investigators concluded. Murthy SB, Merkler AE, Omran SS, et al. Outcomes after intracerebral hemorrhage from arteriovenous malformations. Neurology. 2017;88(20):1882-1888.